The United States is the world’s leading natural gas and oil producer and refiner. 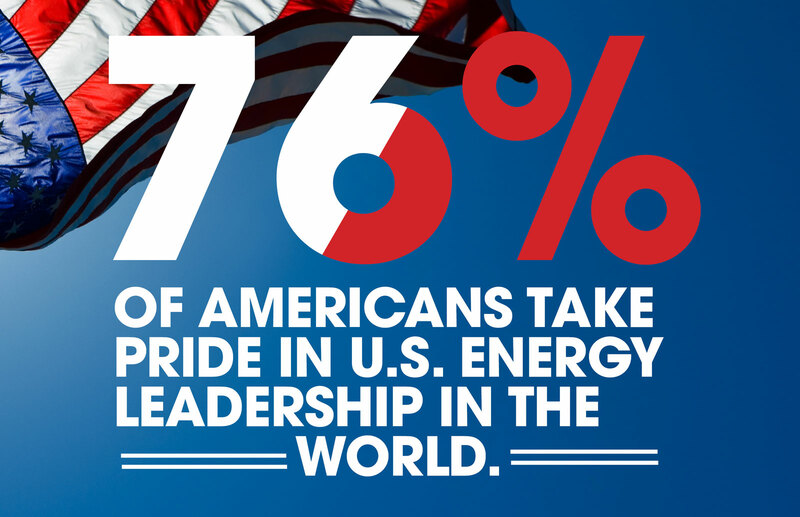 That energy leadership means America is stronger, more secure and more prosperous. 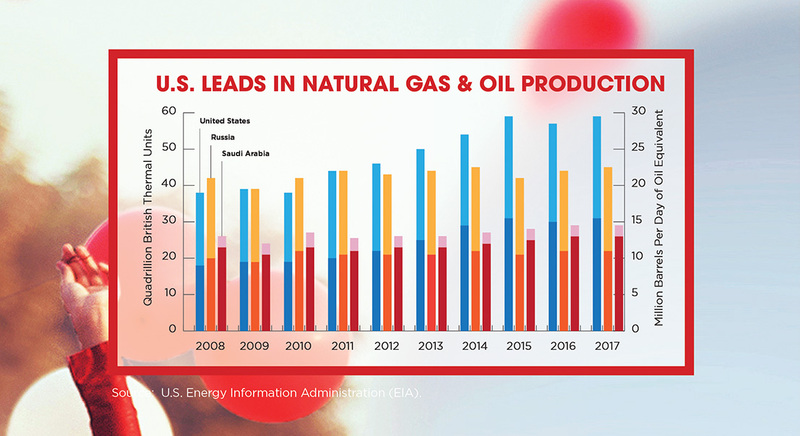 Through ever-advancing technology and 21st-century innovation, the natural gas and oil industry provides the energy that has made the United States the world’s leading producer and refiner – both of which are foundational to American energy leadership in the world. Today’s natural gas and oil industry is invested in the brainpower, engineering and scientific initiatives that are developing reserves safely and efficiently so that the U.S. can fully harness the power of American energy. Thanks to U.S. global leadership in natural gas and oil production, petroleum imports (crude oil and refined products) are at their lowest level since the 1960s. Americans can look to the future from a position of energy strength – more self-sufficient, energy secure and able to provide leadership around the world, helping friends and deterring adversaries. The natural gas and oil industry supports 10.3 million jobs across the economy. This includes hundreds of thousands of well-paying jobs using cutting-edge technologies. Our industry is driving broad economic growth that benefits millions of Americans with greater opportunity and freedom to thrive. No nation on earth has reduced carbon dioxide emissions as much as the U.S. since 2005. Our CO2 emissions have fallen to their lowest level in 25 years – largely because of increased use of clean natural gas – while the rest of the world’s CO2 emissions have risen 50 percent since 1990.